The Potential of Cannabidiol Treatment for Cannabis Users With Recent-Onset Psychosis. “A major factor associated with poor prognostic outcome after a first psychotic break is cannabis misuse, which is prevalent in schizophrenia and particularly common in individuals with recent-onset psychosis. Behavioral interventions aimed at reducing cannabis use have been unsuccessful in this population. Cannabidiol (CBD) is a phytocannabinoid found in cannabis, although at low concentrations in modern-day strains. CBD has a broad pharmacological profile, but contrary to ∆9-tetrahydrocannabinol (THC), CBD does not activate CB1 or CB2 receptors and has at most subtle subjective effects. N-Arachidonoyl Dopamine: A Novel Endocannabinoid and Endovanilloid with Widespread Physiological and Pharmacological Activities. “Inflammatory bowel diseases (IBDs) include Crohn’s disease, and ulcerative colitis. Cannabis sativa preparations have beneficial effects for IBD patients. However, C. sativa extracts contain hundreds of compounds. Although there is much knowledge of the activity of different cannabinoids and their receptor agonists or antagonists, the cytotoxic and anti-inflammatory activity of whole C. sativa extracts has never been characterized in detail with in vitro and ex vivo colon models. Material and Methods: The anti-inflammatory activity of C. sativa extracts was studied on three lines of epithelial cells and on colon tissue. C. sativa flowers were extracted with ethanol, enzyme-linked immunosorbent assay was used to determine the level of interleukin-8 in colon cells and tissue biopsies, chemical analysis was performed using high-performance liquid chromatography, mass spectrometry and nuclear magnetic resonance and gene expression was determined by quantitative real-time PCR. Results: The anti-inflammatory activity of Cannabis extracts derives from D9-tetrahydrocannabinolic acid (THCA) present in fraction 7 (F7) of the extract. However, all fractions of C. sativa at a certain combination of concentrations have a significant increased cytotoxic activity. GPR55 receptor antagonist significantly reduces the anti-inflammatory activity of F7, whereas cannabinoid type 2 receptor antagonist significantly increases HCT116 cell proliferation. Also, cannabidiol (CBD) shows dose dependent cytotoxic activity, whereas anti-inflammatory activity was found only for the low concentration of CBD, and in a bell-shaped rather than dose-dependent manner. Activity of the extract and active fraction was verified on colon tissues taken from IBD patients, and was shown to suppress cyclooxygenase-2 (COX2) and metalloproteinase-9 (MMP9) gene expression in both cell culture and colon tissue. G protein-coupled receptors as anabolic drug targets in osteoporosis. Selective activation of cannabinoid receptor-2 reduces neuroinflammation after traumatic brain injury via alternative macrophage polarization. Marijuana Use and Organ Transplantation: a Review and Implications for Clinical Practice. Dronabinol Is a Safe Long-Term Treatment Option for Neuropathic Pain Patients. 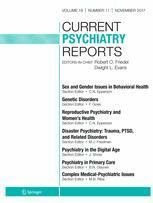 A Systematic Review of the Effectiveness of Medical Cannabis for Psychiatric, Movement and Neurodegenerative Disorders. Medical cannabis for the treatment of chronic pain and other disorders: misconceptions and facts. Cannabinoids Modulate Neuronal Activity and Cancer by CB1 and CB2 Receptor-Independent Mechanisms. “Cannabinoids include the active constituents of Cannabis or are molecules that mimic the structure and/or function of these Cannabis-derived molecules. Cannabinoids produce many of their cellular and organ system effects by interacting with the well-characterized CB1 and CB2 receptors. However, it has become clear that not all effects of cannabinoid drugs are attributable to their interaction with CB1 and CB2 receptors. Evidence now demonstrates that cannabinoid agents produce effects by modulating activity of the entire array of cellular macromolecules targeted by other drug classes, including: other receptor types; ion channels; transporters; enzymes, and protein- and non-protein cellular structures. This review summarizes evidence for these interactions in the CNS and in cancer, and is organized according to the cellular targets involved. The CNS represents a well-studied area and cancer is emerging in terms of understanding mechanisms by which cannabinoids modulate their activity. Considering the CNS and cancer together allow identification of non-cannabinoid receptor targets that are shared and divergent in both systems.